It was one Sunday in May, Memorial Day Weekend (yes another late post.. hehe) and as usual those who are working for U.S.-based companies here in the Philippines don't have work and that means a long weekend for us (yes another late post.. hehe). Most often than not when such dates come, We would go for an out-of-town-trip; but this time we didn't have anything planned and driving out of Manila for a weekend trip is not part of the budget. After Sunday church we would usually eat lunch and do what we can squeeze in our short days off from work. Our friends thought of going on a road trip but I suggested that we visit this cafe I saw from a friend's Facebook post and I've been meaning to visit. We would still go out of Metro Manila but the gas that we would spend would be less and minus the expensive toll fees too. 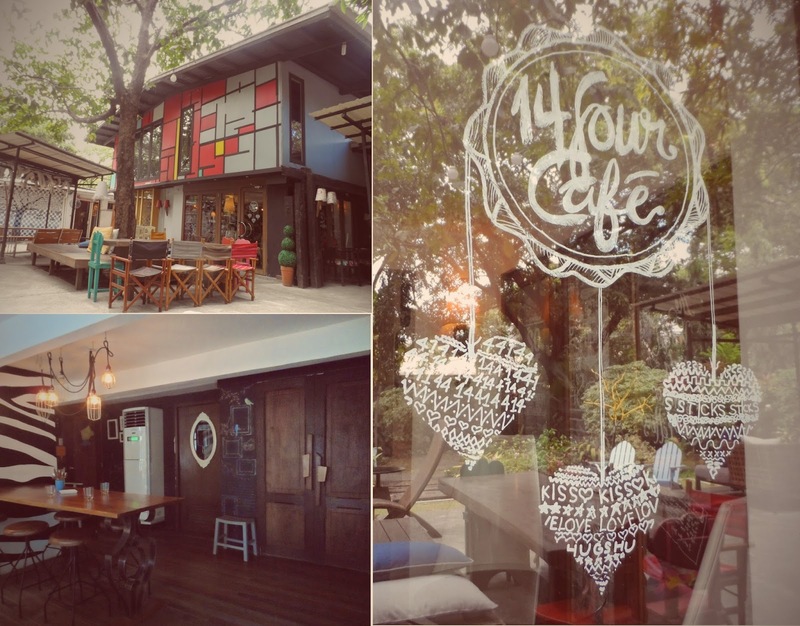 We drove to Taytay, Rizal to check out 14 Four Cafe . Taytay is less than an hour away from Makati but it isn't part of Metro Manila anymore, it is a municipality that is part of Rizal Province. I am familiar to that area but to find the exact location of 14 Four Cafe we used Waze to help us out. Thank goodness we didn't get lost and it was so easy to find, it's just a few minutes drive from Junction and Valley Golf which I've been to several times before. Hello sweeties, have you gone out on a holiday already? No matter matter what you are doing now, Romwe will accompany you through this scorching summer. 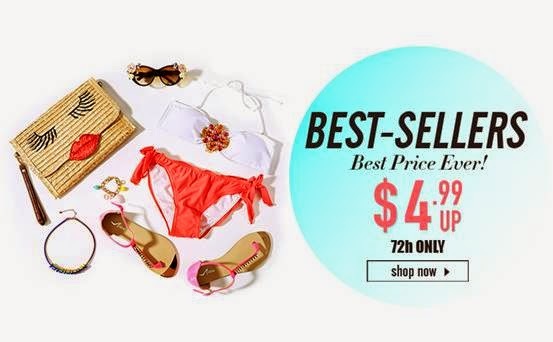 Romwe is having flash sale of their Best Sellers from July 25-27 (starting 1:00pm GMT for 72 hours only). Romwe included all styles: shorts, bandeau, bikini, dress, shirt or skirt. So and nab your favorites and move them from your wish list to your shopping cart! I’ve been a member of the BDJ Community since last year, and yes you can call me a Bella (what BDJ calls their members). I’ve also heard about the Belle De Jour Planner a few years back, although I haven’t had the chance to buy one for myself (been busy chugging down too many calories to get one of those Coffee Shop planners yearly) and no one thought of giving me one too hehe. But I’m excited for next year because I won a 2015 BDJ Planner which I will claim on the next BDJ event this coming October. Super excited for that! Anyway, like I said, I’m a BDJ member for months now, but I haven’t got the chance to subscribe to any of the regular BDJ Boxes. The Regular BDJ Boxes are sent monthly to those who are subscribed and the contents are not disclosed to the members. The simplest way I can put it for those who aren’t familiar, is it’s always a monthly surprise. You’ll never know what you’re going to get. 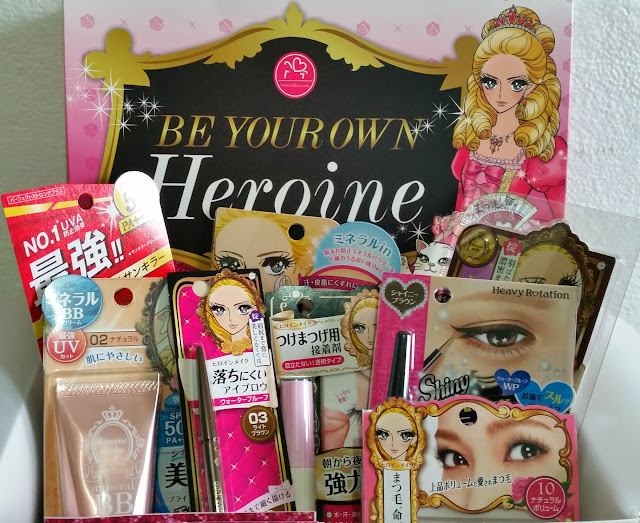 Based on the reviews and unboxing of the bloggers that I follow, it’s a mixed reaction, it’s sometimes a hit or sometimes a miss. I am someone who’s not really into surprises, that’s probably the reason why I have not subscribe to any of the monthly boxes. I am not a fan of the unknown either. I’ve always been fascinated with anything Japanese, especially their literature and food. I’ve also always dreamt of doing a traditional tea ceremony and the ceremonial way of wearing a full kimono, complete with hairstyle and make up, just like what traditional geishas used to do before their profession was degraded. I still have this yearning that one day God will bless me the opportunity to travel to Japan; experience the Sakura (Cherry Blossom) Festival, visit the ancient temples and castles, see Mt. Fuji, ride the bullet train and eat loads of authentic sushi and sashimi! This is me for my college graduation creative pictorials. I have planned this all along and commissioned my designer sister Hazel to create my entire look. This is as far as I can go for dressing up in a traditional looking kimono, lol but I would still love to experience the Kimono-wearing ceremony someday. I know for sure that most of you are already familiar with Burt’s Bees Lip Balms; it doesn't need any elaborate introduction at all I guess. 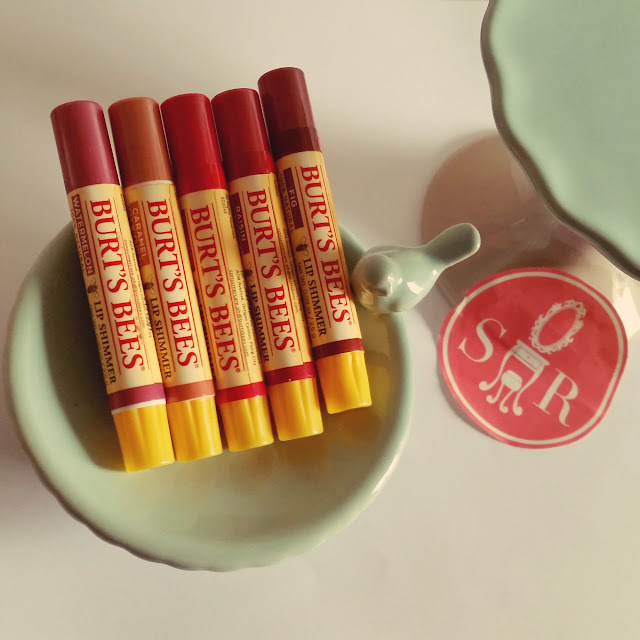 I've known Burt's Bees since college, but being a little bit stingy and depending only on my school allowance, I didn’t attempt to buy one back then; not to mention it is only sold in Beauty Bar and PX Goods Shops. Fortunately, I have friends who occasionally come home to the Philippines from the US and they usually give me one or two. It's been one of my favorite lip balms of all time and one of the products in the market that really delivers what it promises. No wonder thousands or maybe hundreds of thousands of girls all over the world rely on Burt’s Bees Lip Balms to keep their lips smooth, moisturized and healthy-looking. Homecoming is the tradition of welcoming back alumni of a school. It is a tradition in many universities, colleges and high schools especially in the United States. By the way, Homecoming should not be confused with prom, as they occur at different times of the year. Homecoming usually occurs in the fall, and prom usually occurs in the spring. And for sure you are already looking forward to the Homecoming dance which is the culminating event of the week (for high schools). Since it can be formal or informal event the Homecoming dance attire is more semi-formal than prom. Women may wear knee length dresses or long dresses depending on what outfit ideas they have in mind. But it’s almost end of Summer in the Northern hemisphere, and Fall or Autumn comes next so I know some of you are already preparing for your Homecoming 2014 events. I’ve never experienced going to a Homecoming event and most homecomings here in my country doesn’t have a formal social gathering at the end of the week-long celebrations, ours is just simply getting together probably to conduct some civic work or things like that and it usually happens just for a day. I only got to attend junior and senior year prom, and I want to be honest when I say, I would burn all the photos of me during those prom because I was wearing outfits that were not very well thought of. How I wish there were more stylish stores like today who sell beautiful prom and homecoming dresses back then. I was pretty surprised when Ms. Pie of Because Inc., the Philippine distributor of The Cream Factory (from the U.S.) and Saforelle (from France), contacted me. First was late last year, and second, a few weeks back, to invite me to Because Inc.’s Bloggers Event which is exclusive for bloggers. I didn’t know a company like theirs would somehow notice an unknown blog like mine and would take the time to check my blog or read its content, especially that most of my blog entries, for better lack of terms, are just so-so (believe me, I’ve been reading a lot of blogs and theirs are so well written compared to mine, hehe). 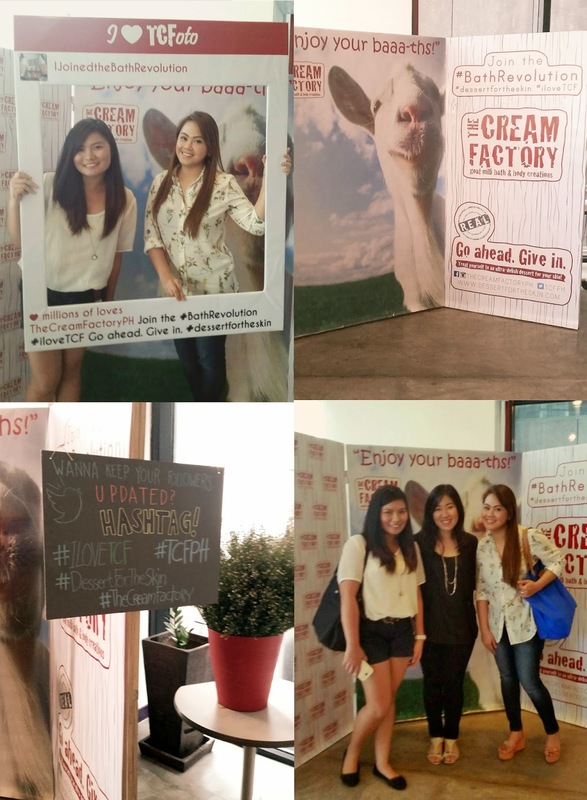 Well, to be honest, I somehow felt like I’m a legit blogger after being invited and attending the The Cream Factory/Saforelle Bloggers Event (I don’t want anyone to think that it’s getting into my head, it’s just that I don’t usually get invited to bloggers’ events) More than being invited to such gathering, what puts a smile on my face is that I feel blessed that there are people who appreciate what I do; it’s completely a different notion from having validation (which I really don’t mind, I just doing what I love to do). I hope you guys get my point. Anyway, I wasn’t able to attend Because Inc.’s first blogger event, I can’t remember why but it’s probably because my weekends are meant for sleeping, home tasks, wife duties and spending QT with my husband. But when I told my husband about this invitation from Because Inc., he encouraged me to go. He said he’s surprised on how personal Because’s way of reaching out to bloggers. Well that’s true, Ms. Pie added me on my personal Facebook page, emails and calls me on a constant basis to update me of when and where will the event be. When we think of wedding dresses, chances are we’re far too lost in the romance and magic of the moment to consider their real value. We neglect aspects such as their cultural significance, their historical value, and what they look like in different parts of the world. If you’ve ever pondered on this matrimonial gown’s significance, today you’re going to get the lowdown, in an effort to shine a little light on this arguably important garment. During the Middle Ages, weddings were more than just a marriage between two people, instead often symbolising the union of two families, businesses and even countries. Tying the knot was a matter of politics more than love, particularly with regards to the nobility and classes of higher social standing. This meant that brides were therefore expected to dress in such a manner that reflected their high social standing, to paint a favourable image on the family or country she was representing. In such times, brides often wore garments featuring vibrant, rich colours made from expensive fabrics, complete with layers of fur, velvet and silk. By now, I know you’re super familiar with SheInside.com since I usually feature them here in my blog. 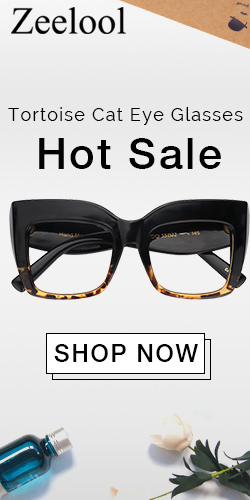 I just love the items from SheInside that’s why. I always share photos or collages of their newest items that I really like on my blog’s Facebook page, my personal FB account, Google+ and other social media. Most of the things that I like end up in my Wishlist. But here’s a good news to all you ladies who share the same love for SheInside, it’s time to time to upgrade your shopping bag! 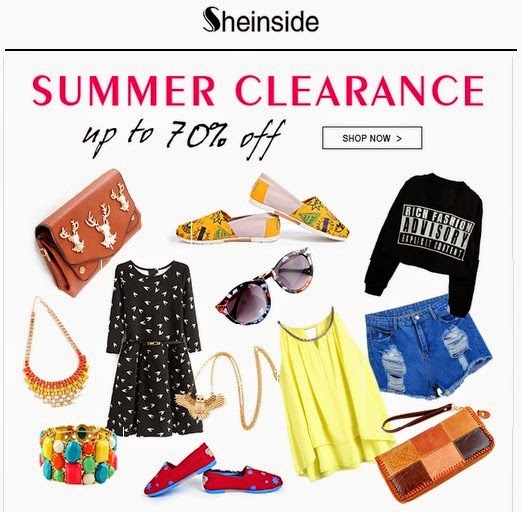 SheInside’s is currently running a CLEARANCE SALE offering up to 70% off. Mind you that they are not just only putting items from the previous fashion season on clearance sale, but even those that are from their Summer collection. So this means you can still get those summer-perfect and beach-worthy dresses, tops, shorts and swimwear while it’s still perfect to wear them. My Travel Bucketlist Says "We Travel Not To Escape Life, But For Life Not To Escape Us"
When I saw a post on my Facebook newsfeed that says: "Instead of wondering when your next vacation is. Maybe you should set a life that you don't need to escape from", it really got me ticked off. So I shared it on my Facebook page with a caption, that I read somewhere, as an answer to Seth Godin's quote (whoever he is): "We travel not to escape life, but for life not to escape us". I know many of you will agree with my answer if you have been travelling and have travelled or wanting to travel. Travelling is one of the best forms of education don't you agree? Even when we are still in school, regular field trips are conducted so that students can have first hand experiences on culture and history. And I was one of those who gets excited when our school announces an upcoming field trip. I can definitely attest that I have learned and experience alot of great things from school field trips. This post is super long overdue. I've been wanting to make a blog post after I wore this outfit back in April when I attended a wedding. 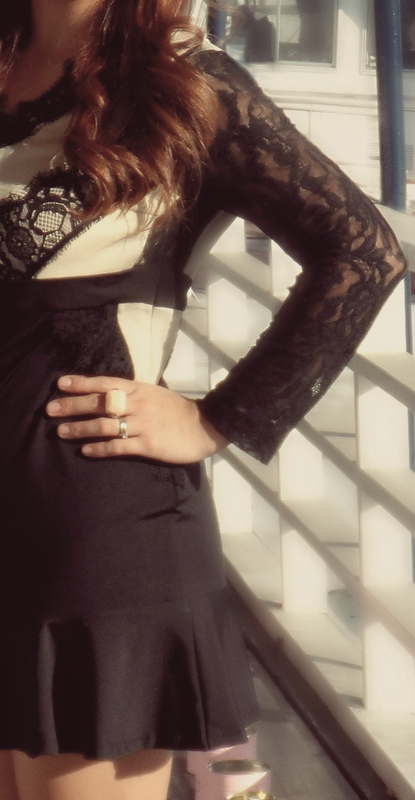 Plus this is the only outfit that I wore that I am completely made up, with va-va-voom curled hair and sultry make up. And the photos are more styled or worthy-to-upload-to-Lookbook (thanks to my sister Hazel) not like the ones I usually post, where I just go out and use the clothes that I got from SheInside then ask someone to take a photo of me without considering how I look or what the background is. The wedding theme was vintage and shabby chic and was held at the Manila Yacht Club. I really found this dress perfect for the over all feel of the wedding because of its details: the lace sleeves, the lace appliques on the bodice and the frills at the bottom of the skirt. Who doesn't love anything with lace? It can make any apparel item elegant and look vintage, agree? I have always been fond of anything Japanese. from their culture, to their literature, to their fashion and most especially their cuisine. I can still vividly remember my parents bringing us almost every Saturday at the original Tokyo Tokyo branch in Greenbelt when it was still a middle-end restaurant back when my sister and I were still in elementary. And most kids my age won't usually love eating Japanese food and raw food like sushi, I on the other hand have greatly enjoyed eating sushi and maki at a young age. And as I grew older, Japanese food is still one of my favorite international cuisine to eat. 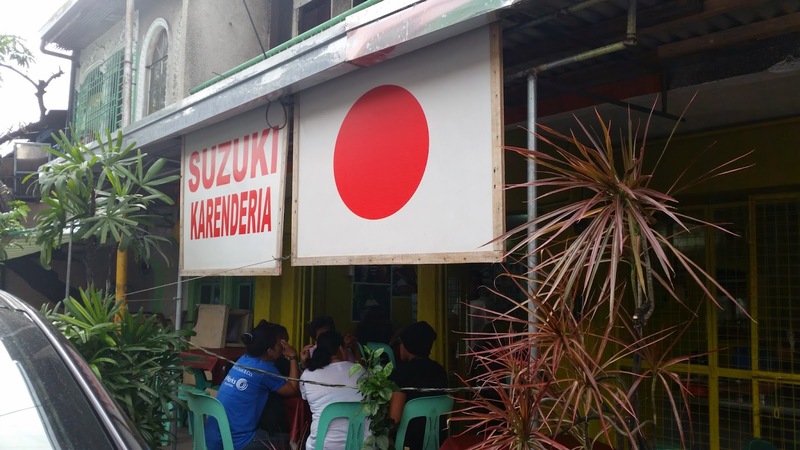 Most Japanese restaurants in Manila, well to be honest, is quite expensive and it is really hard to find those authentic-tasting ones and those that are cooked and prepared by a Japanese who really knows by heart what true Japanese food should taste. So when I stumbled upon, Suzuki Japanese Carinderia on Facebook, I really got super intrigued and researched about it. I found several blogs that had written about this place and I promised myself that I would go and try what they're offering and if it really lives up to the buzz it has been creating. I love online shopping, (ok, most often than not, I go online window shopping); it saves me time and energy walking inside malls and bazaars, not to mention the gas and parking costs. Moreover, when I go shopping, I usually know what will look good on me and what I want to buy and I already know my usual size. Most online stores put the sizing guides for each of their products and so far, after the few things that I’ve bought online, only a few of them doesn’t fit like a glove. Nowadays there's no such thing as rules in fashion. Wear what you want as long as it reflects your personality and makes you comfortable, it will be alright. When it comes to my style, I tend to go for pieces that would usually fall into the categories of classic, chic, preppy, casual and/or vintage. And I would usually go for items that I can use on a daily basis; versatile enough to wear dress up or dress down and for work or for casual days. So instead of sleeping inside a tent at Playa Laiya, I searched the net to look for accommodations in Laiya. Almost all the hotels, b&b’s and resorts were fully booked; I wouldn’t be surprised because it was Labor Day Weekend, for sure people will flock to the nearest beaches. 1-2 days before our trip, I came across a list of places to sleep in Laiya from another blog and googled and contacted each and every name on that list. And I found this austere accommodation in Laiya, which is Llamar Beach Resort. 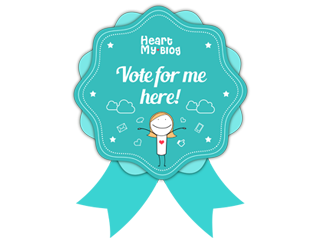 So you all probably know that I love joining contests and giveaways from blogs, social media and other online communities. If I like the prizes, I usually take time to complete what’s required to participate and just forget about it after, never expecting to win. But my winning streaks have recently gone sour lately. Maybe to give chance to others hehehe... But I’ve noticed that once a month I still win something. Last May, I was one of the winners of the new REVLON ColorBurst Matte Balm from Clozette.co’s giveaway. All I did was to comment what shade I want if ever I’ll be chosen as a winner. Oh yes, it was that easy! And then a few days after, I got an email from Clozette.co informing me that I was one of the lucky girls who will get to try these new lip colors from Revlon. I even saw my name from one of their Facebook posts. This got me all giddy, as always! Hehehe!